Looking for branded watches with amazing style and precision in Lebanon? Then all you need to do is visit IWC store at Beirut Souks. 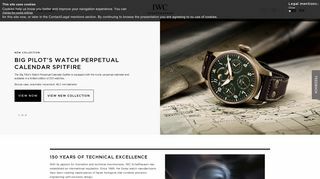 IWC Schaffhausen is one of the leading luxury watch brands, made in Switzerland. IWC’s latest collection combines technical expertise with timeless appeal. Explore IWC’s luxurious wristwatch collection!